Here are some of the collections belonging to Zeh Original Art's fabulous clients! 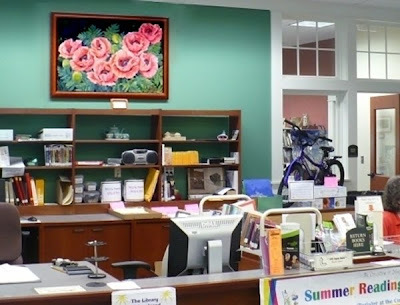 A generous town resident donated money for the brand new Willington Public Library to purchase artwork to adorn its walls. The librarians are art lovers and had a wonderful time visiting artists' studios to select artwork. 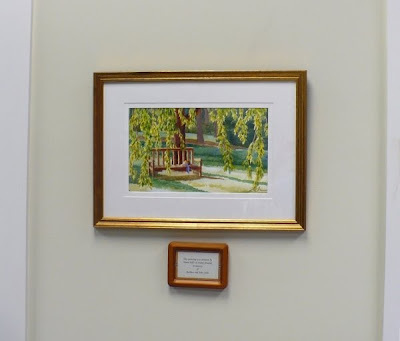 They found two in my studio that they loved: the bench under the willow and the birch tree - both quiet paintings very appropriate for a library. 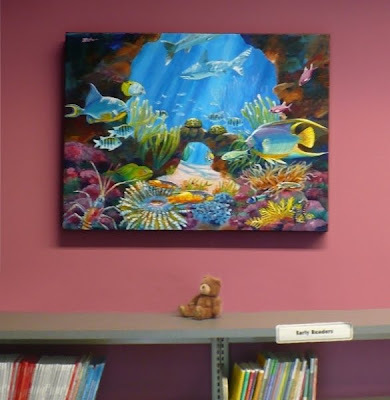 Later, they commissioned two more paintings - a Coral Reef canvas painting for the children's section and an acrylic on canvas of Poppies for over the main desk. 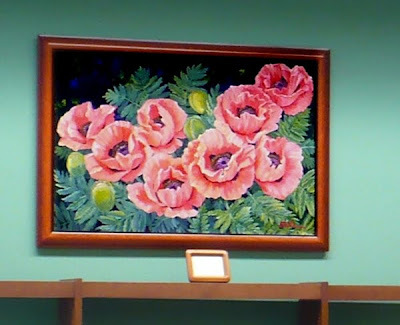 They tell me they enjoy all the comments they get on the art collections particularly the poppies painting that is so prominent as soon as people walk in the front door. You can see the small plaques under most of the paintings which give credit to the donor. 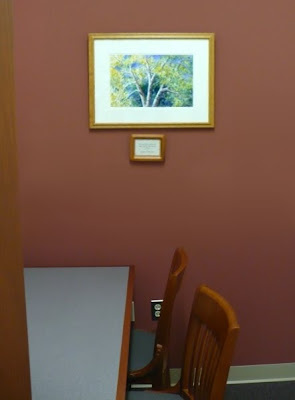 The town residents and local artists are thankful to the donor, and we thank the librarians for sharing their collection! 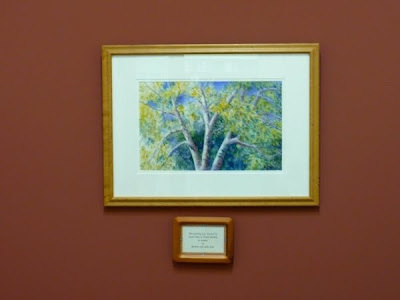 If you have one or more of my paintings, Contact me to send your photos for the gallery. Sign up for my newsletter to read the latest news from Zeh Original Art! As for me, I am grateful for the chance to do what I love every day: paint the beauty of nature, including that of my native New England and places I have traveled. In my blog, I share with you some of my small daily paintings and demonstrations of larger works and pet portraits.